Cooper Hall, Chandler-Gilbert Community College’s (CGCC) newest building, officially opened its doors to students, faculty and staff last month at the Williams Campus. The 11,820 square-foot multifaceted building, welcomes students with a variety of programs including math, electrical utility technology, history, engineering and business. Cooper Hall’s emphasis on engineering, science and technology is intentional and appropriate given its namesake’s legacy. Cooper Hall is named after United States Air Force Colonel Leroy Gordon “Gordo” Cooper, Jr. (March 6, 1927 – October 4, 2004), better known as Gordon Cooper. He received flight training at Perrin Air Force Base, Texas, and Williams Air Force Base, Arizona. After earning a bachelor’s degree in aeronautical engineering from the Air Force Institute of Technology in 1956, Col. Cooper went on to become an aerospace engineer, test pilot, United States Air Force pilot and one of the Mercury Seven, the original NASA astronauts who manned the first flights into space. Designed by Phoenix-based firm Gabor Lorant Architects and DNG Construction, LLC., Cooper Hall features four general classrooms, two engineering and applied technology labs, faculty offices, a conference room and support spaces. 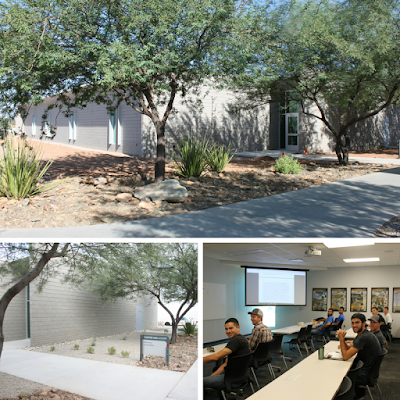 The building was funded by the 2004 Maricopa County Community College District bond, built to LEED Silver certification standards and includes 100 percent LED lighting, carbon neutral carpet and ground concrete floors. An official grand opening event for Cooper Hall will be held at 2 p.m. on October 21st at the Williams Campus located at 7360 E. Tahoe Ave, Mesa, 85212.